Teeny-tiny in size (less than one square kilometre! ), Chippendale is an oft-overlooked neighbourhood when thinking of ways to spend a day in Sydney – but it packs a lot of punch. 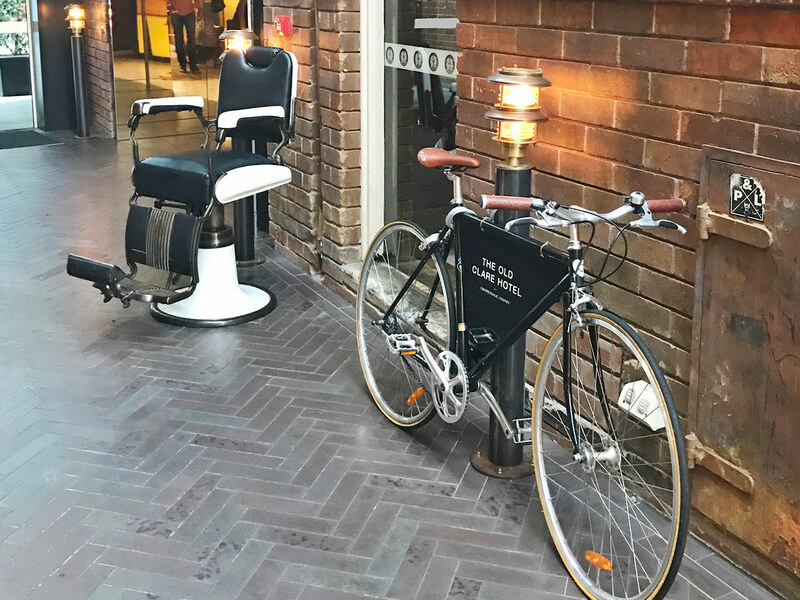 With so much recent development around the area, this tiny pocket of leafy streets, trendy eateries and cutting-edge galleries is fast becoming a hot spot to while away a Saturday. One of the best showrooms in Sydney for designer furniture is Cult. 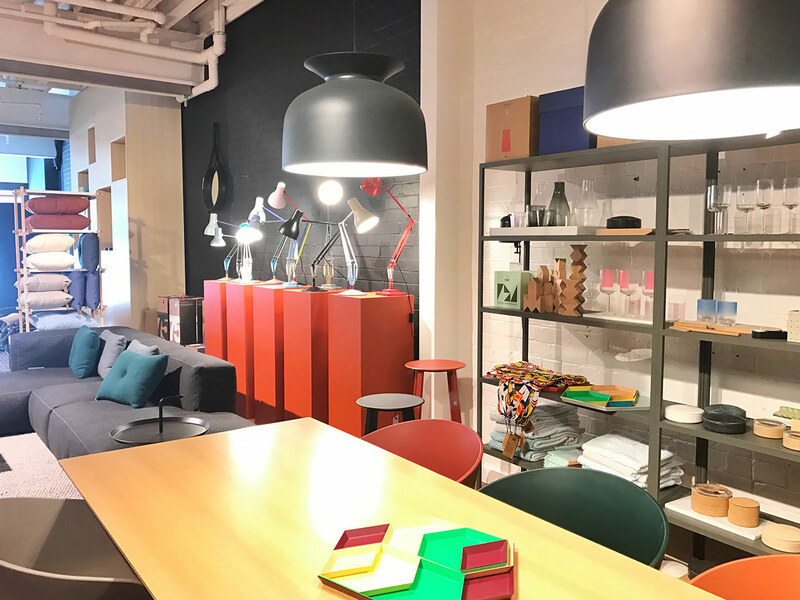 Home to brands such as Hay, Gubi, Republic of Fritz Hansen, Carl Hansen + Son and Design Letters, visit Cult to dream about your ‘one day’ house that you’ll fill with classic, beautiful pieces of furniture. If a trip to Europe for some home inspiration isn’t on the cards, a visit to Cult will scratch the itch nicely. Keep an eye out for their occasional warehouse sales too, where you can snap up ex-display and in-stock pieces for a lot less than they normally retail for. White Rabbit Gallery is one of Sydney’s best private galleries. 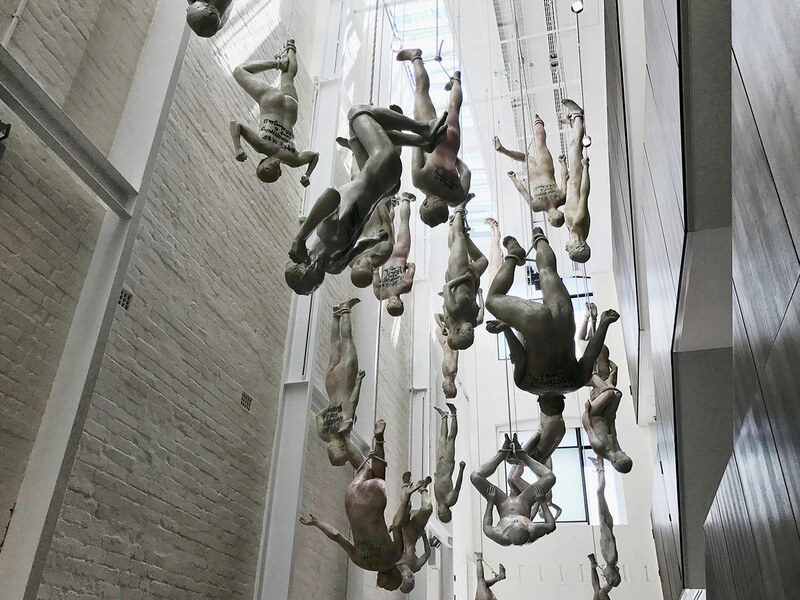 Opening in 2009, it’s quickly become one of the most significant collections of Chinese contemporary art in the world. Completely free, as an initiative to give back to the community, owner Judith Neilson has dedicated the gallery to 21st century works. Spanning three levels of an old Rolls-Royce service depot, there are two new exhibitions each year. After browsing the art, stop into the Tea House for a cooling refreshment, or try the handmade dumplings. 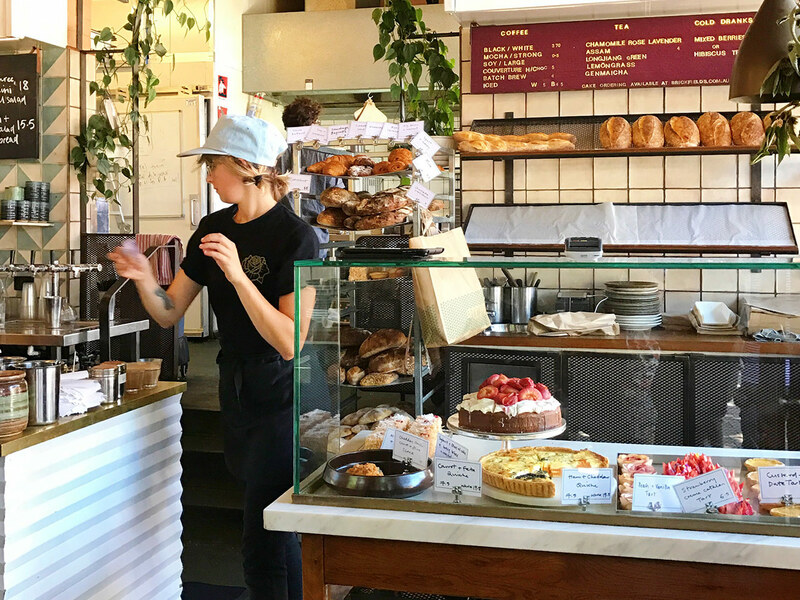 Tucked into the southern western end of Cleveland Street, Brickfields Bakery is kept busy every week stocking the best cafés and markets around Sydney with pastries and bread, so a trip to their very own store is extra special. You’ll smell Brickfields before you see it, with the aroma of fresh-baked bread spreading down the street. Whether it’s a classic pan au chocolate or a more decadent tart or cake, the small but sweet interior is a great spot to stop in for coffee and a snack before moving to your next location. Don’t forget to grab a loaf of sourdough to take home for later! 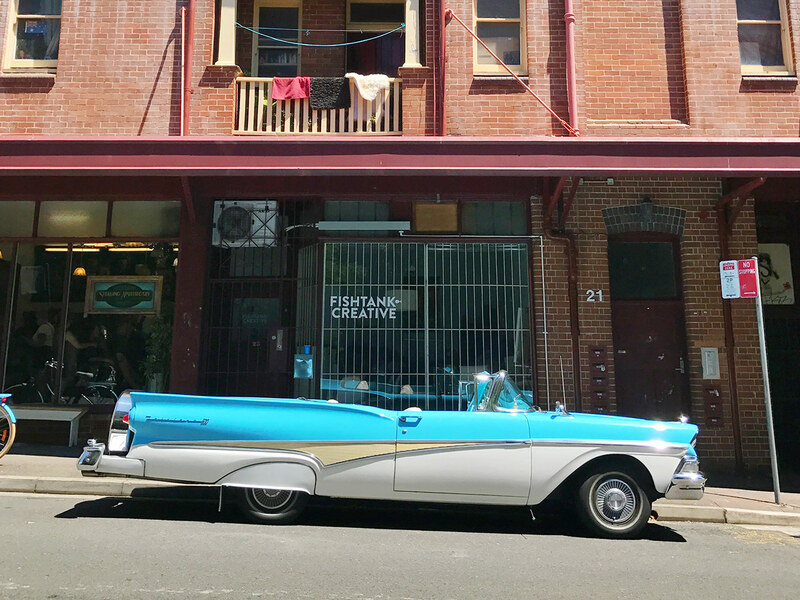 At the heart of Chippendale’s changes is Kensington Street. Revitalised into a hotbed of interesting places to shop and eat, it would likely take you several days and multiple visits to work your way through all of the options! From the highly acclaimed five courses at Automata, the brand new Italian restaurant Olio, to the more casual brunch at Kensington Street Social or Asian-inspired desserts at Koi, there’s something for every palette and budget all along Kensington Street. Tucked off the main strip of Kensington Street is Spice Alley, home to a selection of hawker-style dining options. Take away or eat under the beautiful lanterns hung above all of the tables – there’s Singaporean, Malaysian, Cantonese, Japanese and Vietnamese food all in one space. If Japan is on your wishlist but not in your budget, a visit to Daiso in the Central Park complex is a must. The Japanese chain is famous for its $2.80 shopping with the cute-o-meter turned all the way up. You’re bound to leave with something you didn’t know you needed – or a very adorable version of something you did need, like polka dot dish gloves… but with most items coming in at under five dollars, there’s no regrets. On the same level as Daiso is gift store Pigeonhole. Originating in Perth and now in seven locations across Australia, they stock fun giftware from brands such as Sunnylife Australia, Concept Japan and Areaware. You can also find women’s clothing from Melbourne brand Olga De Polga, and a range of jewellery from their in-house brand. If you’re wanting to spend more time exploring Chippendale than just a day will allow, spend the night at The Old Clare. A recent facelift and redevelopment of what was once the drinking choice of students studying across the road at UTS. Now completely reinvigorated as a design hotel, the boutique suites offer a luxury stay, complete with a rooftop pool and beautiful interiors.